Unlikely I'll post much until I learn my way around. I am surprised - and thankful - I got this far as quickly as I did. Thanks to the people running this place. me-san - be sure to read posts in New Users and search for topics of interest as well as browse the different categories. if you need guidance, just ask. Hello, made an account here long ago but never used it. Couldn't remember the orig id/pwd so I just created a new account. I plan on focusing mainly on tracking/documenting activities at US commercial power stations. I will try to keep my anti nuke bias/disdain/contempt under check but may occasionally fail. I apologize in advance. (03-03-2018, 09:21 PM)Staup Wrote: Hello, made an account here long ago but never used it. Welcome Staup. We could use more documentation of US NPP's. One thing I've thought interesting is how much radiation the various sites might be releasing to the local environment thru normal operations. Was reading an article on a pro-nuke site about Fort Saint Vrain. The engineer stated that when it was running it was cleaner than any other US NPP's. Implication was some are worse than others. I'm sure you'll find plenty to criticize with our cost cutting commercial power plants. Kakpoes deleted their own posts. Because there was an inherent sense of antagonism in their posts, I decided to purge Kakpoes. Pretty sure that one was only going to be trouble. (03-09-2018, 11:54 AM)piajensen Wrote: Kakpoes deleted their own posts. Because there was an inherent sense of antagonism in their posts, I decided to purge Kakpoes. Pretty sure that one was only going to be trouble. I have a copy of his new user posts for posterity. What he deleted from the Flu thread was just vaccine conspiracy links. Maybe he wasn't too proud of his contributions. With ENENews down we'll probably see others test the waters. There were some good posters left over there but they were getting drowned out by the noise. Glad we have good noise filters here. Yes, "good noise filters" - helps to have the core group on the same page. I do hope more folks come over from ENE. There were some mighty fine researchers and commenters there. I appreciate the idea that having folks like Cullen or Buesseler participate at CRL, but I think it's highly unlikely that they would. As for the differences in readership, that's difficult to quantify since many of CRL's readers are not registered and there is no way to gauge the impact of their attention here. They could be lawyers, health professionals, agency staff or directors, anti-nuclear activists... what they take away from posts here could actually have greater ramifications than the multitudes of readers at ENE, many of whom could be signing in under multiple names. There's really no comparison, except that CRL is better managed. I would also like to see CRL gain more "popularity" and I think it hasn't helped that some people chose to bad mouth CRL in ENENews and who knows where else. As for my capacity to promote, I do what I can via twitter and that typically results in instant increase in views. I have also networked in email conversations with professionals whose input would be valuable, but, I think they are busy with their own investigations. Lucas has become incredibly busy with his work in Chernobyl and doesn't appear to have much time for promoting CRL, but,I'll send him a note to see if he can pitch in. Not clear about your comment on visuals - posts here have screenshots and graphs. I see CRL as being in an evolutionary state. It isn't what it was when it first began and it won't be what it is now in the future. Thanks for hanging in with us. I'll look into research gate tomorrow. That's a great idea. (03-09-2018, 04:55 PM)Code Wrote: Why does CafeRadLab with its inherently superior structure and lack of trolling have fewer readers than ENE had? A lively discussion may need the spice of differing views. CaféRadLab came into being four years after the Fuku disaster. We missed the crowd that came for the sensational news. The crowd found what they wanted at ENENews. As I recall, back then ENENews admin didn't allow the trolls to overrun the place. I don't have a problem with differing views, but I don't like foul language or personal attacks. Our South African friend crossed the line in the new user thread testing our limits, yet wasn't banned. He toned it down in the Flu thread and we were having a lively discussion. We listened to his criticism and responded by cleaning up some of the clutter. He chose to delete his entries, not us. Purging his user name was just more housecleaning. 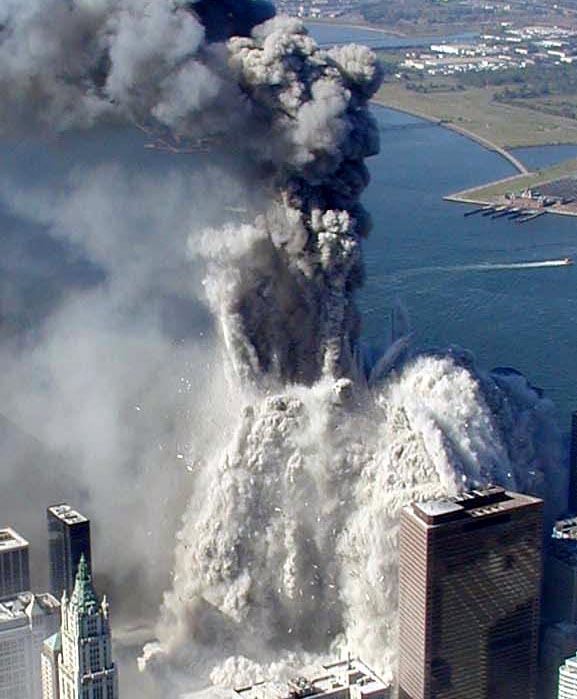 I recognized the WTC controlled demolition watching it happen, others took a little longer and some will never see it. I've got a better example for you, Code. GOM was a good poster that wandered into Flat Earth theorizing. Even after GOM withdrew, you wouldn't let go of it. It started getting out of hand with the personal attacks from both parties. I think Flat Earth is ridiculous but I would welcome GOM for the on-topic contributions made. Would you? Remember the plasma webs debate, many people got upset with me because I didn't buy into the sensational plasma webs idea. I would welcome all the 'water caustics' deniers because they remained civil even if they did think I was wrong. As to pro-nukers coming in here, sure, it would be fun to debate them; Socref was quite educational until his defensiveness turned him into a bully. Inform me and I'll keep reading, anything else is just noise. Yup, I think you've helped me illustrate my point, thank you. I went thru some uncomfortable attacks on ENENews and I know Code went thru a lot more. Code puts it into good words; new users take heed. Moderating a rowdy bunch is an impossible task and way too much work. I don't want to censor or ban anyone either. The four or five mentioned would not be my top choices for informative reading. Banning certainly limits diversity. If they'd only behave as adults and not like children. The South African poster put me on the spot and his anger wore me out and I was running out of words. 'Where to draw that line?' you asked and I jumped at the opening. Hard to find a balance when being pummeled. New users, if you want your message to be heard please show a little more respect for Pia, she's the admin and she will ban noisy posters. Show some respect for posters on this site sharing their research. Show some respect for our audience. Any 'ol ENENewsers that can do that are still welcome. Just a quick note about membership policy. We, Lucas and I, had a variety of discussions about what types of personalities could risk losing their membership. There's been, in the past, a ton of outright spammers and a few off kilter members who've been banned. By off kilter I mean that their demeanor towards others was degrading, they posted wherever they wanted - ignoring the organizational structure, and they were antagonistic. A very few members have received guidance about topics that don't meet the goals of this forum. This forum wasn't meant to be like ENENews and is meant to promote higher level of dialog than occurred at ENENews. It is meant to engage thinkers and people who want to learn the truth about man-made radiation without having to wade through posts by people whose intentions are not in-line with our goals. So, some members will be banned if they simply can't help themselves and choose to act out as if they are at ENENews. When there are some doubts about whether banning is the right action to take, I confer with Lucas or Horse, and they have always backed up my intuition. I sent Lucas a note about changing the graphic - the colors are part of a set package offered by MyBB. Their formats are relatively rigid, but, I'll look into the color scheme. I also asked if he had some time to do some more recruiting and promotions as he has in the past. I took a deeper look at the theme options for MyBB and there is very little flexibility in the theme we have now. Though, I'll wait to hear from Lucas on design possibilities. Here are some images of MyBB themes to give you an idea of what we are working with here. https://www.google.com/search?q=does+myb...06&bih=723 - keep in mind, we currently pay nothing for the current theme. Research Gate is meant specifically for legitimized researchers (people who have published their research and findings, been peer-reviewed, seeking peer-review, that sort of thing). In reviewing their terms of service I have concluded that the little bit of research I've done in the past doesn't qualify me, and, I'm not associated with any institution which they ask for at the sign up page. I also am not engaging in much typing due to issues with my hands. Gotta say, I would love to be what you want me to be, but it just isn't going to happen. Physical injuries (busted knee/crappy third world medical care, piss-poor setting of ulnar after minor fracture in wrist collar and residual head and neck trauma). been zapping my energy for too long and I'm not real keen on encouraging more migraines or hand pain. I do what I can, but you aren't going to find a design or marketing ninja here. Code - were I to search out radiation researchers to contribute here, I'd be looking for those in the health profession, specifically radiation medical researchers with time in and around Chernobyl, northern European countries affected by Chernobyl and Fukushima. It is quite unfortunate the doctors and media in Japan have effectively been muzzled by Abe's Secrecy Act. Hi Code, good suggestions. As we add quality content, we'll probably attract more professionals. I think CRL is developing connections to the professional world as people realize the value of a searchable repository of nuke information without the inane clutter of ENENews. I like most of Dr G's work, sometimes he stretches into the sensational which may be making his site more popular. He can link here. You could also promote CRL over there. I used to get the most hits by dropping links on the Cassiopaea.org forum but I've spent more time here adding content to link to and not as much time over there. Some of my threads there have over 35,000 views. Polish up your threads and I'll drop some links at Cass. If we do change the format at CRL I've got a suggestion for a pic, a tbs-jnn view of Daiichi with smoke coming up. I think Lucas and Pia are more interested in quality than quantity, we're not chasing the advertising dollars. Thanks for noting the search function, Horse. It's very well-tuned and most of what Code suggests can be found through searches. In Links you will find: Multiple Fukushima Sites, Enformable Collection, Radio Shows, Radiation Testing Groups and more http://www.caferadlab.com/forum-7.html. If you have particular articles organizations not already posted at CRL, Code, please post them in links or biological impacts,or wherever they fit best. For example, your Yablokov and Nesterenko suggestion. One of the primary purposes of CRL is that others contribute, in the appropriate/related sections. I don't see that topics/articles are getting drowned out by conversation at CRL. The few posts that people do comment on are enhanced by the conversations. Nothing like the conditions that existed at ENENews. I've reached out for help for physical aids before, very little success there - most of my friends are financially strained as well. It is what it is. There are two, or more schools of thought on organizing forum sections - too many sub forums leads to less visual access to what's in the primary forum. Lucas and I discussed this early on, I was ready to create more sub forums but the final consensus was to keep as much up top as possible. And, again, there's the very functional search engine. As for adding more moderators, there's a level of trust that must exist and can only be achieved over time. The last time Lucas and I discussed this, he wasn't ready to take new risks and is satisfied with me being the only other administrator. It isn't as though the workload is high. I am so proud when I see all of the activity and dialogue taking place here. Pia, thank you as always for your dedication and commitment to CRL. Horse, Stock, Code et al, thank you for continuing to add valuable content and discussion. As Pia mentioned, I have been overwhelmed with our Chernobyl research, also the publication of another of our studies in St. Louis after peer-review. I do have some thoughts. Attracting new personalities - I think the Mousseau situation is a good example. For me, I am not a scientist of the type of Dr. Mousseau, but even I have time limitations. These people have even more so. What you did, was create the perfect environment for him to come in, drop some insight, now you have to recreate that so he will come back and use that template to attract new people. My recommendation is that when a new study is published, and linked here. Wait for a few posts to matriculate. Really dig into it like you did with the Grasshopper study. I think Mousseau was encouraged to take the time to join and respond because there was intelligent dialogue. So keep that in mind. It takes some research and some work. Don't be afraid to ask questions. Create the opportunity for this person to come in and be the expert. Once the forum post has matriculated and has some content, then reach out to the person on social media. Explain there are people asking questions, ask if they can provide some clarity. Again, create the scenario for them to enter, don't just think they will do it because we exist. They will feel much more comfortable joining the dialogue if they see a few people intelligently discussing it instead of just one. Then follow up, also be sure to ask they let us know when they publish new research. create a dialogue about a different study and invite them back. They can comment on each other's studies as well, as long as its within the same field of discipline. These are all tips and it will take everyone to do it right! As far as the logo, it is size 300px x 100px - http://caferadlab.com/images/square/logo.png I can update the logo. Is anyone useful with Photoshop? Submit new designs and I can upload! Also, lets think of a short tag line that will attract people, not divide them before they even get here. We want people to feel comfortable and open. We want respectful dialogue, even if we do not all agree. We want facts, citations, and dialogue revolving around those facts and citations. If they don't exist yet, we can work to develop them, or tie two things together. Above all, take pride in what you have created and what it can become!